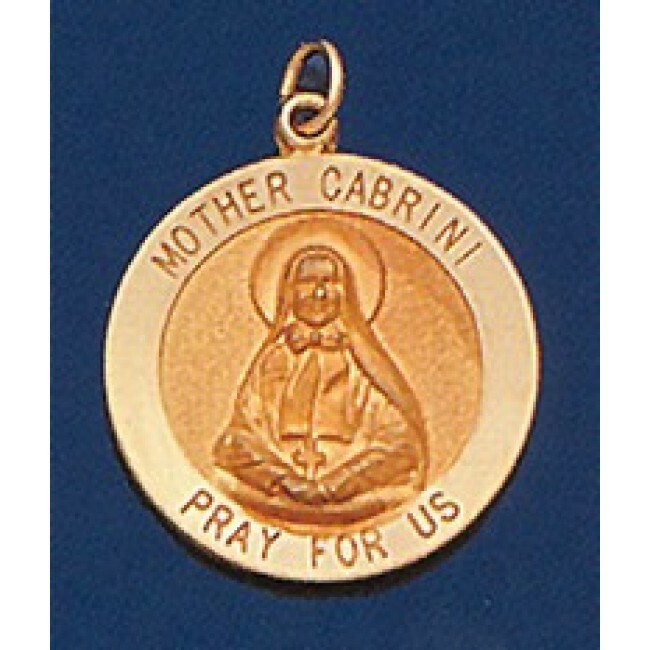 Mother Cabrini 14k Gold medal is available in 2 sizes, 5/8" and ¾" in diameter.Image in brushed gold finish with polished 14k gold around the edge of the medal. 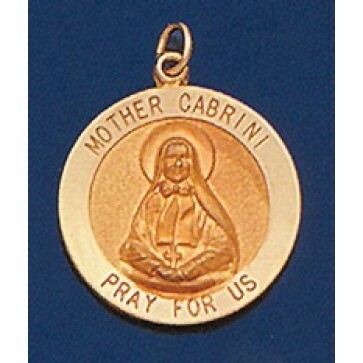 Mother Frances Cabrini was one of thirteen children raised on a farm. She received a convent education and trained as a teacher. Poor health prevented her from joining a religious order at age 18. A priest asked her to teach at a girl's school, the House of Providence Orphanage in Cadagono, Italy, which she did for six years. Took religious vows in 1877. When the orphanage closed in 1880, her bishop asked her to found the Missionary Sisters of the Sacred Heart to care for poor children in schools and hospitals. Pope Leo XIII then sent her to the United States to carry on this mission.